There are lots of things to look forward to as the weather starts to change, and even some things you’re probably not looking forward to! But one thing you may not have considered is how the seasonal changes may impact your home’s roof. The winter’s snow, ice, and generally cooler temperatures can have a dramatic impact on your roof, much more than would a simple rain storm. Well-maintained roofs are less likely to leak or require expensive repairs, so consider the following tips to ensure your roof is up to par for the winter and beyond. Having your roof inspected semi-annually is the best way to make sure everything is in good condition and ready for winter. You likely aren’t up on your roof very often and can’t see any details from the ground. Even if you were to get up on your roof to inspect it yourself, many people have no idea what could be an indicator of potential damage or structural weakness and what they shouldn’t worry about. Having a checkup performed by a professional can prevent costly repairs in the future. Being proactive and having smaller repairs done now rather than letting the small issues become larger ones down the line will help your roof last longer and save you money. You should also have your flashings (strips of metal placed along corners, ridges and the front edge of your roof as well as around skylights or chimneys) inspected for proper sealing and to ensure they aren’t rusting through. Your attic also needs to be inspected before winter comes around. 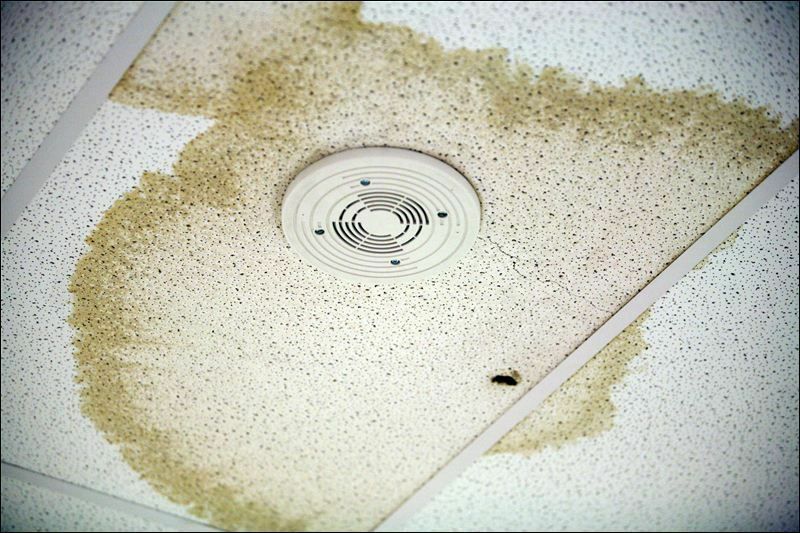 Look for signs of leaks which include mold or mildew around vents, warped wood and stained insulation. Attics should be well ventilated and the temperature in the attic should ideally be the same as it is outside. Most of us don’t spend much time on the roof, but winter is actually the most likely time people find themselves on their roof, as many families like to install holiday lights or décor. The problem is that too much foot traffic can lead to leaks. If you must be on the roof, be sure to avoid stepping on shingles that appear to be compromised and stay away from roof tiles or tile cement. Be sure to remove all debris from your roof as often as you can, including leaves and pine needles, to allow for proper drainage of rain water and snow melt. A good rule of thumb is to keep trees at least six feet from your roof. Tree limbs can overhang and scrape your roof’s surface which can damage it, and loose branches falling on the roof can also compromise shingles and the roof’s overall stability. Our experts are always happy to help homeowners with a free, no-obligation quote on reroofing – so if you think it’s time for a new roof, give us a call! Aspenmark Roofing & Solar has been serving the Dallas/Fort Worth area with roofing maintenance and repairs since 2005. Our core business values are designed to provide you with an exceptional experience by delivering quality workmanship on every job. A GAF Master Elite contractor, Aspenmark is a multiple recipient of the GAF President’s Club and Triple Excellence awards. For more roofing tips visit our blog here.